At the closing ceremony for the 2016 Rio Olympics, Brazil passed on all the glory and the responsibility of hosting the mega sports games to Japan – host of the 2020 Tokyo Olympics. After Koike Yuriko, Tokyo’s newly-elected governor, accepted the Olympic flag from the head of the International Olympic Committee, a two-minute promotional video introduced Prime Minister Shinzo Abe dressed as Super Mario from the hit Nintendo franchise. The promo gives just a taste of what the world can expect from the Tokyo Olympics, showcasing iconic scenes from the Japanese capital and including plenty of appearances by popular Japanese cartoon characters. The Tokyo Olympics will undoubtedly be an opportunity for Japan to leverage its many beloved, animated characters – its latent “soft power” – and remind global audiences about what makes Japan so special. However, hosting the Olympics will also bring challenges, and intense scrutiny to how Tokyo deals with these challenges. Budget overruns and plagiarism have already been issues. Last July, the design for the stadium was scrapped when the expected costs were doubled from $1.05 billion to $2.0 billion. There are concerns that this will affect the workers’ ability to finish the stadium on time, but the Japanese public was simply unwilling to stomach the lavish price tag. More recently, this past April, a new logo was announced for the Tokyo Olympics after the original was scrapped due to complaints that it had been plagiarized. Japan’s team must also tread carefully and conduct themselves impeccably to ensure that the enhanced scrutiny will become a net gain instead of a net loss for Japan’s reputation and image. The Guardian reported in May this year on allegations that Tokyo’s bidding team had made payments worth around $1.5 million to a hidden account linked to Papa Massata Diack. Diack, a former International Association of Athletics Federation marketing consultant, was recently banned for life in January of this year on corruption charges linked to a doping scandal. Though most observers expect Tokyo to face fewer hurdles than Rio, questions abound about how prepared Japan will be for the Olympics, and whether the Olympics will have a positive or negative impact on Japan’s flagging economy. The million-dollar question in Japanese politics is whether Abe will be allowed to stay on as president of the LDP until 2020, which will come after the end of his second term. According to current LDP rules, individuals are limited to two consecutive, three-year terms as the president of the party, so Abe, who was elected in September 2012, would have to step down in September 2018. But, due to Abe’s unprecedented strength, there is a movement within the LDP to change the rules to allow Abe to stay on. For example, Masahiko Komura, vice president of the LDP, said on a radio program that the LDP should permanently change the rules to enable an individual to hold the office of party presidency for up to three terms. LDP secretary general Toshihiro Nikai has also supported the idea of a three term limit, arguing that such a move would benefit Japan by shoring up political stability and giving the leader of the party the political time and space to deal with major, unpopular issues. 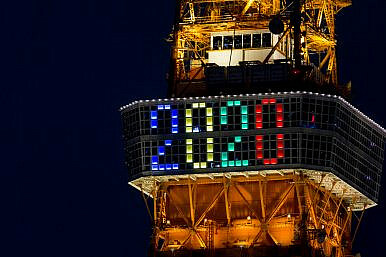 Will Abe’s dream to attend the Tokyo Olympics as Japan’s prime minister in 2020 be realized? Key players to watch are Shigeru Ishiba, former minister of regional revitalization, and Fumio Kishida, the current foreign minister. In the August 3 Cabinet reshuffle, Ishiba voluntarily left the Cabinet – a move that will give him a freer hand to challenge the Abe faction’s dominance within the LDP. Ishiba ran against Abe for the party presidency in September 2012, and had won more votes than Abe on the first ballot. Kishida is another potential successor to Abe, who is seeing his political fortunes on an upward trajectory following the successful Ise-Shima summit and coordination of U.S. President Barack Obama’s visit to Hiroshima. The road to revising the LDP rules to allow three consecutive terms will prove much smoother should these two potential rivals acquiesce. After the Presidential Election, What Next for Abe and the LDP?Japan: 5 Things to Watch in the Next LDP Presidential ElectionCan Anyone Unseat Shinzo Abe?Japan Election Victory Gives Abe Mandate For ReformWhat's China's View On Abe’s Latest Cabinet Reshuffle?